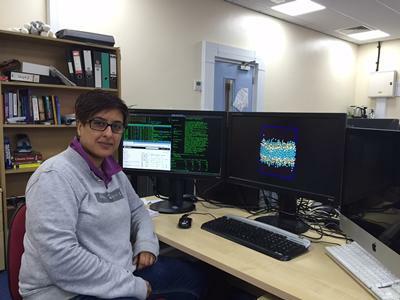 University of Southampton researcher Dr Syma Khalid is part of a multidisciplinary collaboration that has been awarded over £3m funding to help tackle the growing threat of antimicrobial resistance. The funding, from the Medical Research Council (MRC) and the Biological Sciences Research Council (BBSRC), will allow Dr Khalid and a team of researchers from the Universities of Newcastle, Oxford, Sheffield and Warwick (who are leading the project) to investigate a vital link in the chain of antimicrobial resistance – the bacterial cell wall. The project will look at how certain antibiotics, such as penicillin, target the peptidoglycan protein, the main component of the wall, at the biochemical, structural and cellular levels. 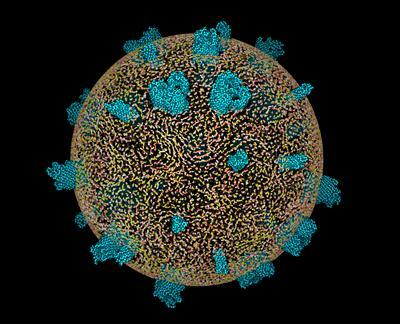 These antibiotics target the final stage of the production of this protective cell wall, but the precise details of how, and what they do, remain unresolved. By learning more about this process, the researchers will have a better understanding of how to develop new and effective antibiotics. Dr Khalid, a member of the University’s Network for Anti-Microbial Resistance and Infection Prevention (NAMRIP), will bring together data from project partners, who are working in structural biology and mathematical modelling, to construct models that explain the interactions between the cell wall, the proteins and penicillin and other similar antibiotics.